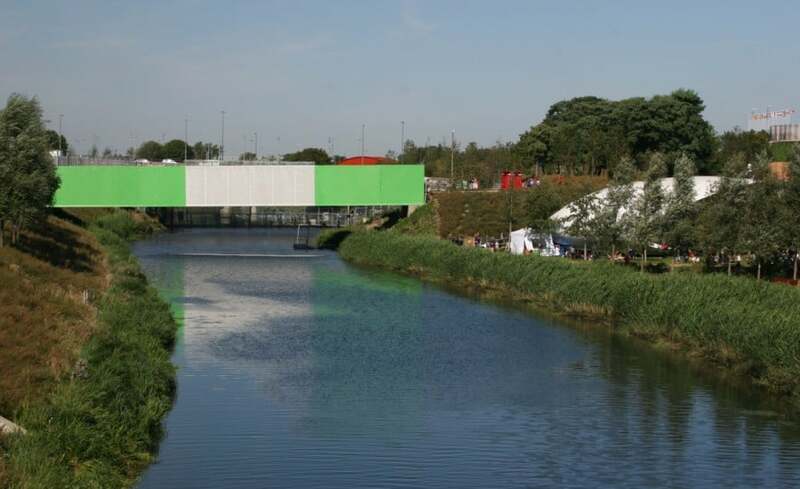 After a competitive tendering process where environental credentials, technical ability and speed of installation were paramount, Architen Landrell Associates were awarded the contract to manufacture and install temporary tensile fabric cladding to cover an old bridge allowing entry to the Olympic Park. 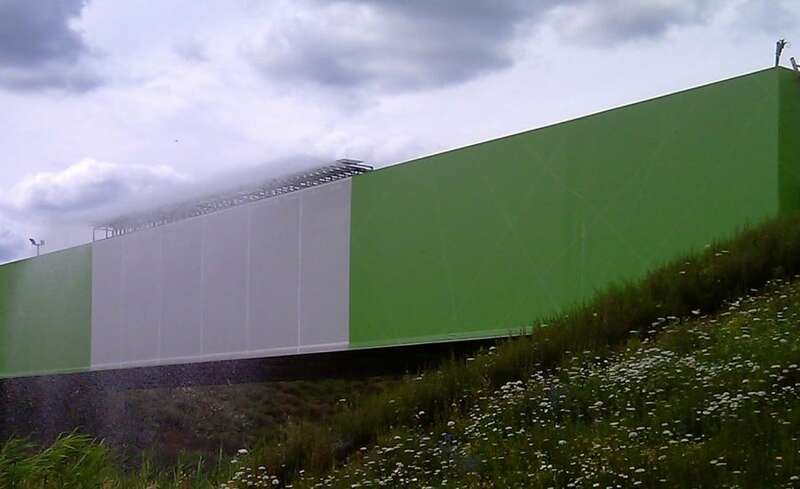 The temporary cladding encompasses a water feature, Running Water designed by Peter Lewis to enhance the visitor experience of the park. 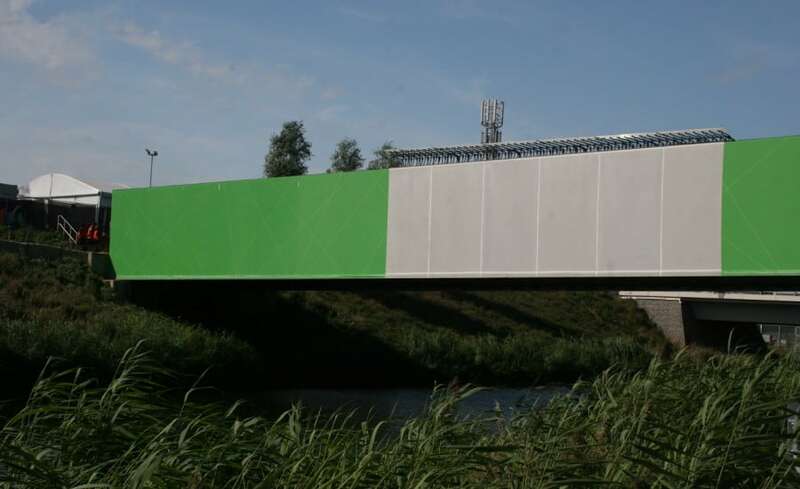 The cladding covers the length of the bridge and is predominantly made up of solid PVC coated polyester material. Printed on the inside of the bridge is the London 2012 phrase Inspire a Generation and the fabric is printed with a scored effect synonymous with the London 2012 brand whilst the centre of the bridge is white, transluscent fabric with a layer of ETFE in the middle which allows visitors to see through the bridge and watch the water fountain. As the water feature mechanism is encased inside the bridge itself, we installed access doors in the fabric membrane which allow personnel into the centre aspect of the bridge to maintain the water feature components within.